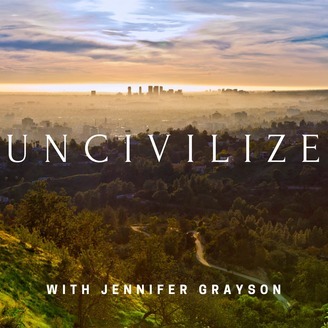 Uncivilize is a journalistic exploration of the human rewilding movement—bringing you the stories of pioneers who have “left” our modern industrialized world behind to forge radically alternative lives in the 21st century. Using the long lens of human history (read: evolutionary biology, anthropology, indigenous knowledge and cultural history), each episode examines a future existence that could not only restore balance to an imperiled planet, but reclaim humanity’s original, inborn connection to the natural world. 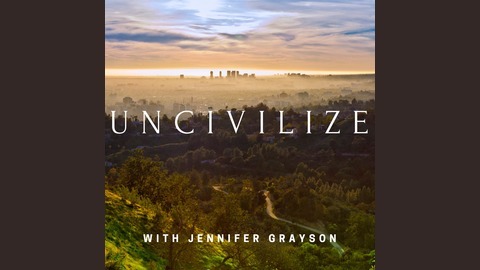 Hosted by Los Angeles-based environmental journalist and award-winning author (UNLATCHED, 2017 Rachel Carson Environment Book Award) Jennifer Grayson. Theme music: Paul Damian Hogan. Photo by April K / CC BY 2.0. www.jennifergrayson.com. I know many of you, like me, dream of decamping the modern existence to live in the solace of the woods or on a bucolic homestead—just as many of our Uncivilize guests have done. But many of you also may not yet be able to fully commit to that dream (like me) or perhaps don’t even want to commit to that dream; that what, in fact, you are searching for is a more connected human existence in the 21st-century city or town in which you already live. To you, I introduce cohousing, an intentional community-on-the-rise best described as a modern and sustainable take on the village (or commune) of yesteryear. -When did it become so uncommon to live with extended family? Want to explore cohousing communities or learn how to start your own? Check out the wealth of resources on the Coho/US website or attend the upcoming 2019 National Cohousing Conference, May 30-June 2, in Portland, Ore. (At last check, tickets are still available. The conference also includes tours of seven Portland cohousing communities.) You can also connect with Karin and Coho/US via Facebook, Twitter and Instagram.